Abolaji Alausa (the ‘A’ is irrelevant, call him Bolaji) is the Executive Creative Director of Noah’s Ark, a leading Independent agency in West Africa. A fine artist that found his way into advertising in 2006, starting with Rosabel Leo Burnett Lagos, then did a five-year stint with DDB Lagos. 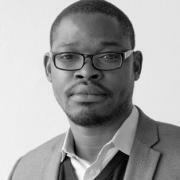 He won Nigeria’s first Epica, Cristal and Loeries awards. Due to his efforts in 2012, Noah’s Ark became the first Nigerian agency to ever have their work featured in Lurzer’s Archive. In 2015, he was ranked Archive’s 14th most published creative director in the world.